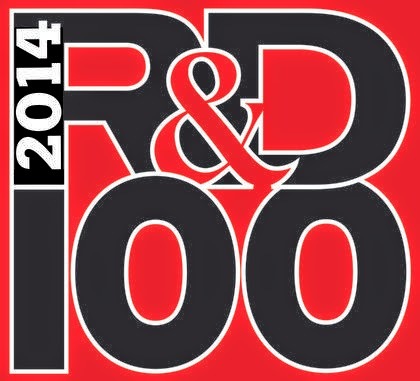 Idaho National Laboratory has won two R&D 100 Awards in the 2014 international competition hosted by R&D Magazine, bringing its total to an even 50 over the past 18 years. The annual competition recognizes the top 100 inventions of the past year. Both winning technologies relate to innovative modeling systems. The Advanced Electrolyte Model analyzes and identifies potential electrolytes for battery systems. It offers significant resource savings by optimizing material combinations for new batteries. AEM predicts and reports key properties underlying electrolyte behavior in the electrochemical cell environment. "These awards recognize the tremendous value of our national labs," said Secretary of Energy Ernest Moniz, in a news release. "Research and development at the national labs continues to help our nation address its energy challenges and pursue the scientific and technological innovations necessary to remain globally competitive." INL nominated three technologies for the 2014 R&D 100 Award competition and now has earned a total of 50 R&D 100 Awards since 1986. The banquet and awards presentation, honoring the 2014 winners will take place Nov. 7 at the Bellagio Hotel in Las Vegas.